It seems nowadays everybody wants to know why so many Black women are single? Saturday mornings are a good time to check out that topic on radio stations across the country. Social healing and relationships between men and women are some of the core issues that have never really been addressed in the African American community. Talk radio is a good place to address those issues. The Audrey Chapman Show is by far the best therapy/relationship show in the country. Audrey is a family therapist, author, trainer, and nationally-known relationship expert. She has developed a "tough love" approach to helping men and women develop loving, interdependent relationships, build communication, and take responsibility for their happiness. She has appeared on dozens of national and television programs. 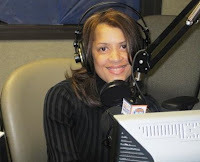 She hosts "The Audrey Chapman Show" on Washington, D.C.'s WHUR-FM 96.3, Saturdays from 8:00-10:00 A.M. EST. The mix of guest and callers with the local D.C. flavor makes this show exceptional. We only wish it was available on a podcast. But after the Audrey Chapman Show goes off the air there's that feeling that you get that you just need to hear more. 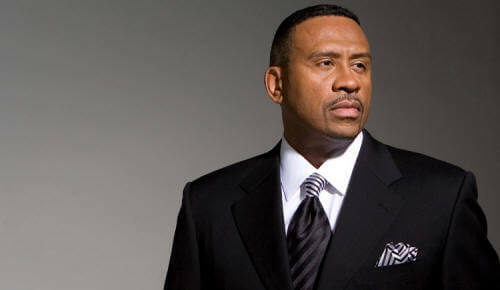 Well, my next stop is Motown to Detroit's AM 1500 WLQV and the Kim Bettie Show. 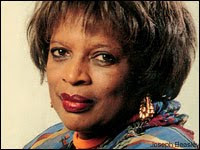 The Kim Bettie Show is an up and coming radio program that addresses issues that mainly affect African American women. Kim Bettie is a life coach, motivational speaker and multi-media personality. Her thought provoking style challenges her audiences to develop the right mindset to breakthrough their roadblocks to success. For the past twenty years she has been in the business of encouraging others. You can catch the show on http://www.faithtalk1500.com/ Saturday mornings 10 - 11 A.M. EST. There are times that both shows hit upon the same subjects and it makes for interesting radio on a Saturday morning. The Kim Bettie Show is featuring "The Single and The City" Radio Blog series beginning this week on-air and online. Three single women who work and live in metropolitan Detroit complete a love experiment. 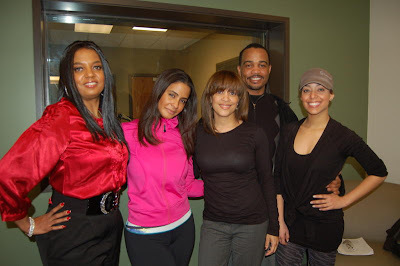 Rian, Lisa and Sandra Dee blog about their experience on a reality radio show and starting a love experiment. Alton Gunn will talk with a panel of single men during "What men want: The Male Perspective" on The Kim Bettie Show. If you missed the show, listen to the podcast in the Media Room at http://www.kimbettieshow.com/.